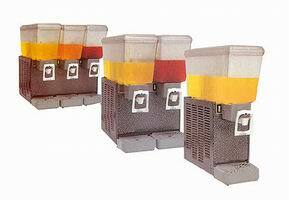 Dispensers in 22, 44 and 66 litre capacities with one, two or three plastic tanks. Temperature range +5/+8C and 13 amp. electrical supply.